So, this is what we get by focusing in on a consumer economy instead of a production one, two lost decades. What was that about the recession being over instead of focusing in on all of the reforms, from regulatory reform to trade agreements to taxes? 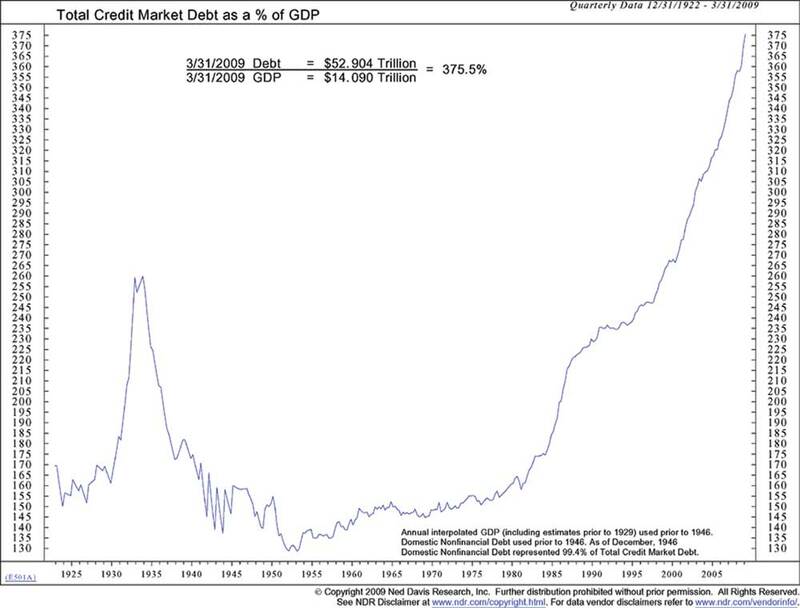 it took $1.50 of debt to generate $1 of GDP in the 1960s, $1.70 to generate $1 of GDP in the '70s, $2.90 in the '80s, $3.20 in the '90s, and an unbelievable $5.40 of debt to generate $1 of GDP in the latest decade. This really is astounding and what strikes fear in this writer is how the United States policy seems intent on continuing a debt driven, consumer economy instead of making the reforms and structural changes so needed. Just today Obama claimed they will not renegotiate NAFTA due to the recession. That's like saying one cannot fix the broken damn because there is a flood. Please view Comstock's charted data (in PDF) by following the link. Big hat tip to Naked Capitalism. I just read this good article in Salon. It talks about how he has fallen capture to the cult of neoliberalism. Actually, not just him. I don't get why people think Obama is somehow captured by others and programmed. He is one of the programmers. So he has been immersed with these sorts of Corpocrats most of his adult life. It reminds me of Bush, people thought he was some Texas working class guy when in fact he was a Yale/Harvard MBA super elite, ruling families product. regardless if is the programmer/programmed/not programmed nothing will change while this neoliberal economic ideology has so much influence in Washington. The question is how do we discredit this terribly flawed ideology? and then frankly, don't jump on some candidate in some bizarre feeding frenzy during the primaries and claim he has policy positions and a voting record that does not exist. imagine what would have happened if they demanded actual policy positions to match the enthusiasm. (there was no viable Progressive/Populist candidate during the primaries, I will note, although Clinton in position statements and votes was slightly better than Obama in this regard, from an economics view point). Diana Farrell (McKinsey Global Institute, Goldman Sachs), Laura Tyson (Morgan Stanley, NAFTA), Henry Kissinger (no need to for explanation here), Roger Altman (Blackstone Group), Robert Hormats (PetroChina, Goldman Sachs), Richard Holbrooke (Perseus), Robert Rubin, Summers, Geithner, Rahm Emanuel (Wassterstein Perella), and on and on and on.